My mom belongs to the Red Hat group. It was her turn to be the hostess, so I volunteered to have it at our home. We have a lovely setting for 8-9 guests at our copper table. Of course the color scheme is red and purple. 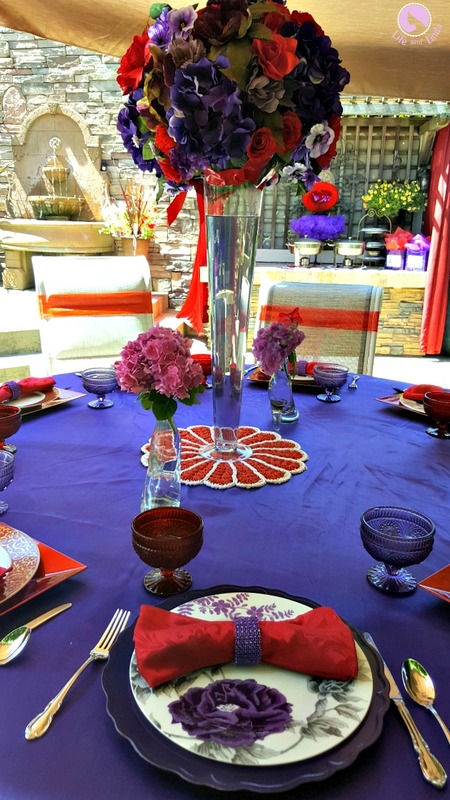 I alternated red and purple plates for the tablescape. 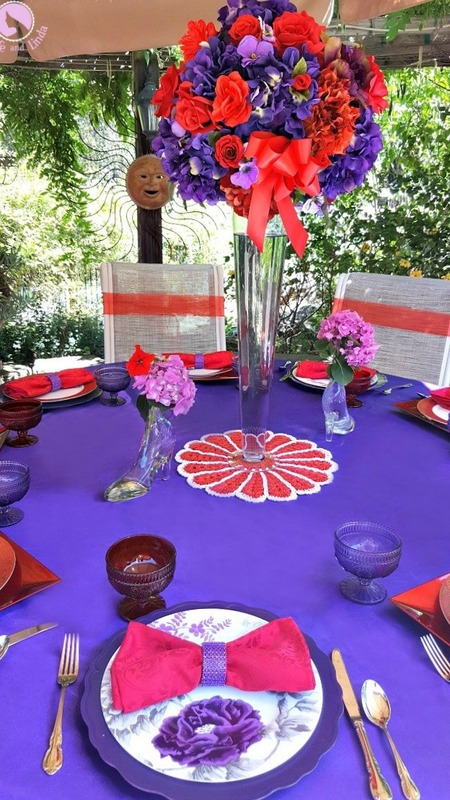 Using red and purple chargers to compliment the dinner plates. I made the blingy purple napkin rings. The dessert compotes are also in red and purple. The centerpiece I also made for this event. Using a very tall vase allows the guests to look across the table. I created a large topiary with the flowers. I colored the water with purple as well. This was a buffet luncheon. I always forget to take photos of the food. I made a fabulous Berry Trifle and did not take pictures. I also made Potato salad, Coleslaw, Bow Tie Chicken Pasta salad, baked Beans, and pulled pork. 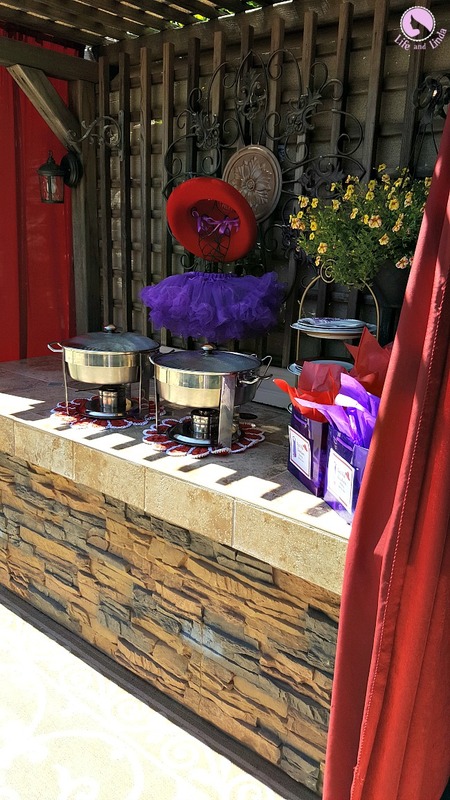 I added a red hat to the buffet station. My Mom knitted dish cloths for each lady. 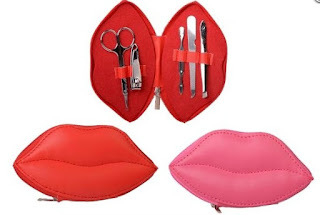 I made a Calming sugar scrub and also included a lip manicure set in each bag. The weather was warm, however we had a great breeze. My handy and helpful husband helped me with serving and setting up additional umbrellas. I owe him many thanks, as I was going into the house for many trips. The ladies have arrived! 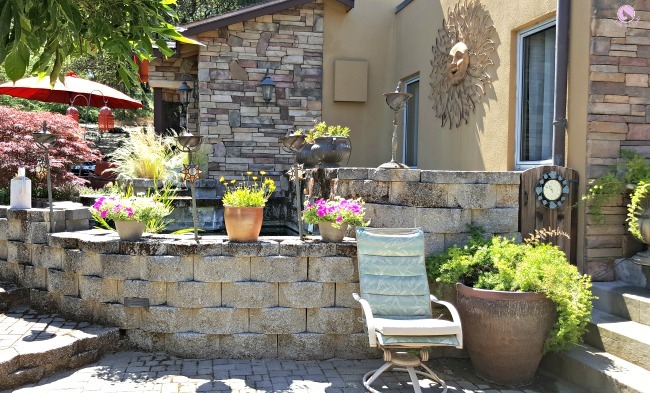 A view of the Koi pond. Another view from the copper table, leading up to another seating area. My Mom was queen for a day. 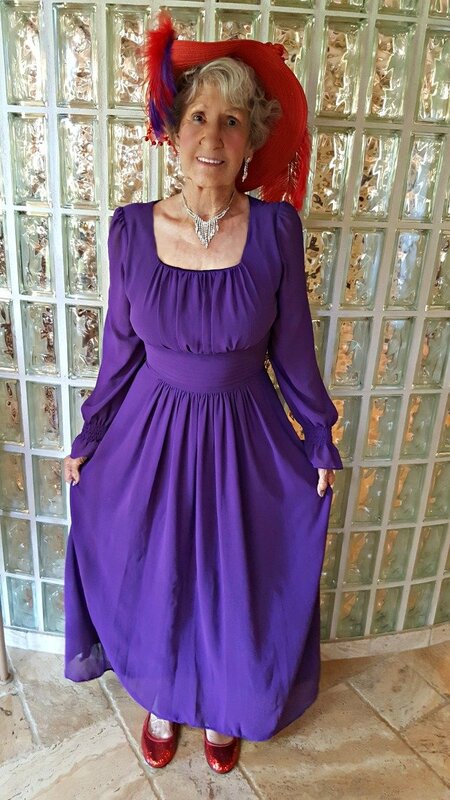 We bought this dress for my mom, so she would have it for this special luncheon. She found the cute sparkly shoes. You looked fabulous Mom! Sorry this is my first post this week. I was all busy getting ready for the party. 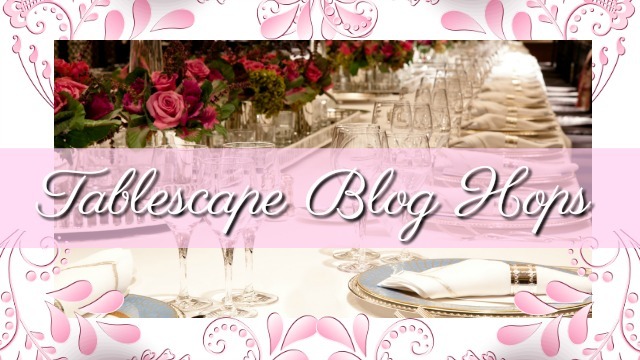 I also designed another blog and I am in the middle of transferring a friend's blog. My bathroom is almost complete! Your Mom looks like she could take the throne!!!!!! How pretty she is! 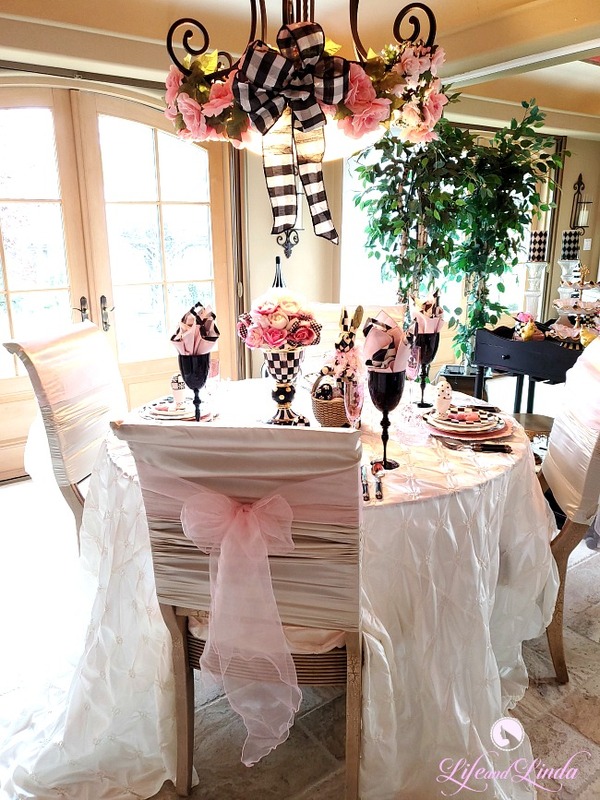 I know she's thrilled that you'd go all out to create the prefect setting for her luncheon! You came up with some brilliant touches! Thank you Alycia, I appreciate your sweet comment, since you are the tablescape queen. Wow, you went all out for this luncheon! 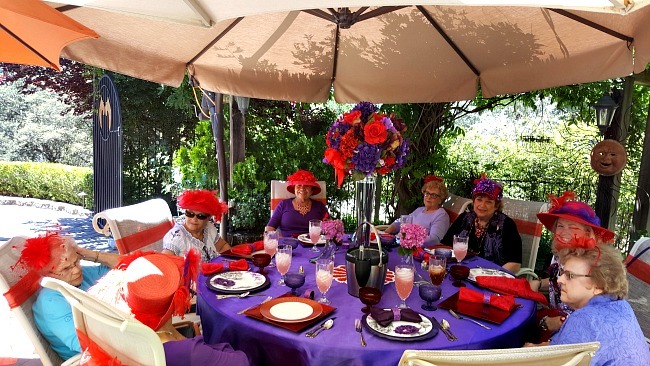 Everything looks just perfect for the Red Hat Society ladies -- sheesh, you even tinted the water purple in the flower vases! Now THAT'S attention to detail, LOL! Your Mom looks terrific and those sparkly red shoes could be Dorothy's very own Wizard of Oz shoes! Yes Debra, even down to the purple colored water. My mom was so happy and beaming with joy. Thank you Martha Ellen, the ladies were thrilled to be sitting there. they were so sweet. I even gave them a tour of our home. Your mom looks so sweet in her lovely hat and dress. 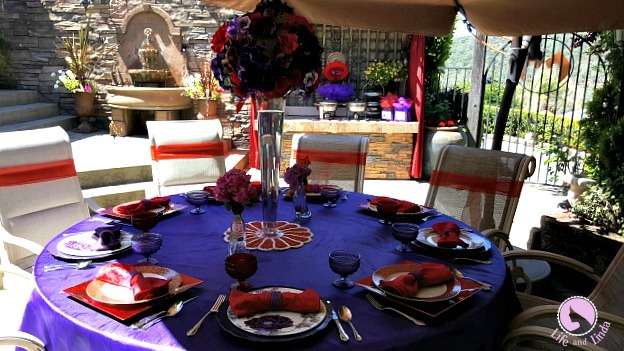 You did a fabulous job setting the table and paying close attention to the detail of red and purple! The menu sounds delish - I often forget pics of the food, too!! Looks like a great party! Thank you Patti. 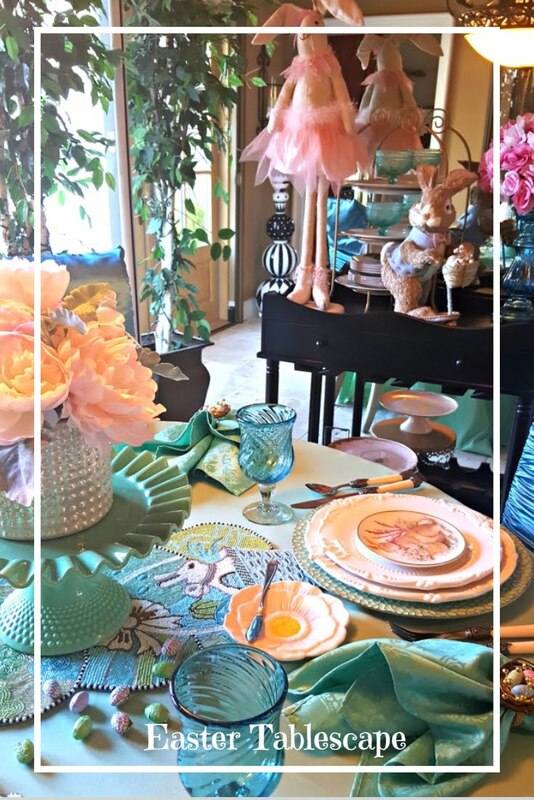 I had so much fun decorating for this party. I loved how my mom was glowing. What an amazing get together. That centerpiece is gorgeous, as is your sweet mom. Thanks Lauren. I was totally satisfied with how everything turned out. A fun party to plan. 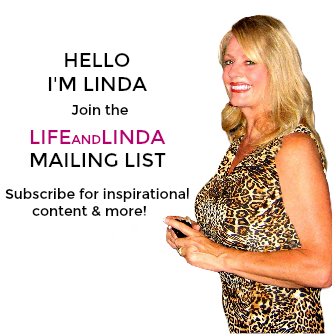 How adorable, Linda! You really outdid yourself putting this luncheon together. It's all so fabulous! And your mom looks beautiful, from head to toe, in purple and red, just like royalty! Thank you Gail. 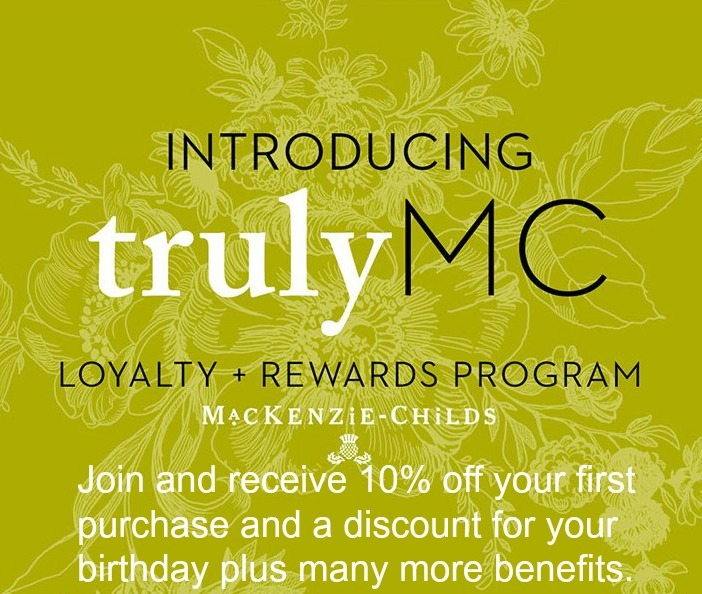 I tried to make this party very special, so my mom would really enjoy herself. Linda, your mom is adorable! My sister belongs to a Red Hat Society. Looks like a lovely luncheon. Thanks for sharing. Sarah, thank you. I used to belong to this group. A nice way to get together with friends and just have fun. What an awesome Red Hat Gathering! I wanted to be a Red Hat member but the chapters in my area were full back then. Then I met and married Louis Dean. Your mom is beautiful! Only you would think of tinting the water in the vases! I love your style! Awww, so sorry it was too full. They should have started a new group. The ladies do have a lot of fun. Your mother must have been so proud to entertain her friends in such style. You did well, my friend. Thank you Amalia. My mother was very proud and felt like a queen for the day. 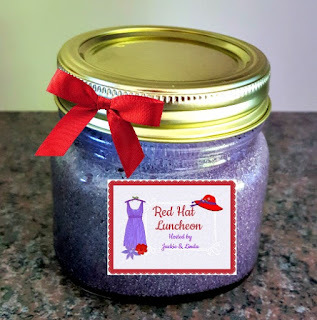 Awwww...LInda..this post got to me seeing your Queen Mom:)What a great looking Red Hat Society Queen. She must just adore you and be so proud of all you do..and so proud of her kind son-in-law too.. Thanks Monique. The ladies had a blast and my mom gots lots of kudos for dressing up. She felt proud that I was hosting this fun filled party. 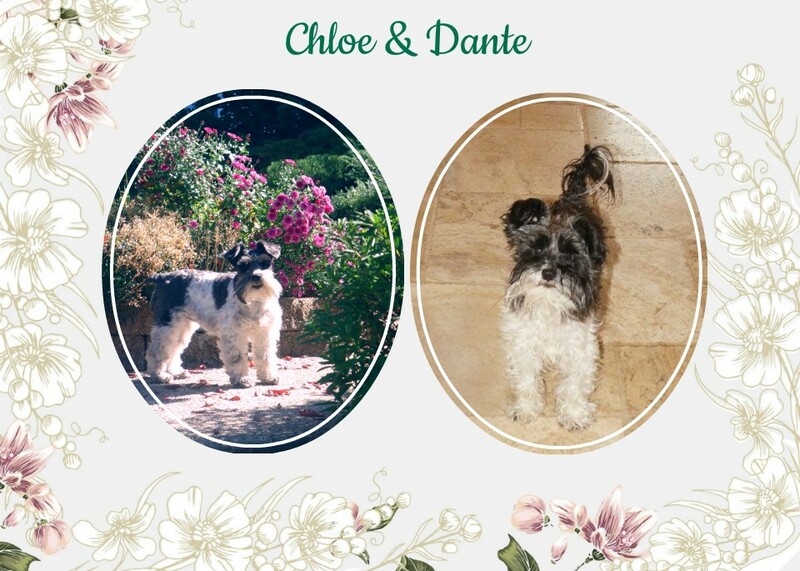 oh how sweet those ladies are! 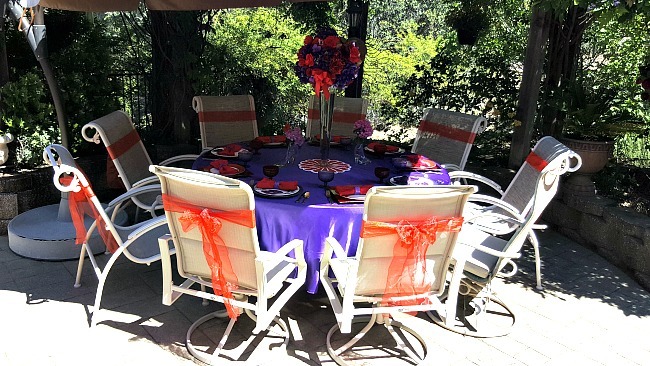 I knew your table would be over the top, I know they were thrilled with all your red and purple touches! You did such a beautiful job on all of this. The centerpiece is beautiful and I have to believe the ladies were thrilled with it all! They all look so cute sitting around with their red hats. Your mom is adorable and looked so nice in her purple dress and I love the ruby slippers!! Linda, you and your mom created such a special day for these ladies. How sweet and such a beautiful setting. Stacey, thanks for visiting. We all had a great time. What a fun time you made for these ladies! You are so busy that I don't know how you keep up with yourself. You are one talented lady for sure! You are so kind Lea. I try to stay busy. 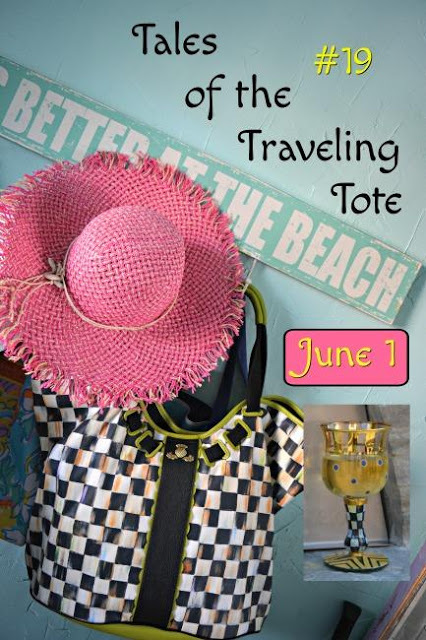 Designing blogs, tweaking them and entertaining does take up my time. Linda, you are such a fine host! This party on behalf of your mom's hosting had to be a topic of much conversation for the Red Hat members. You really put together some great details (not to mention all the food!). What a treat, and your mom looked great. Kudos! Linda, what a lovely occasion! 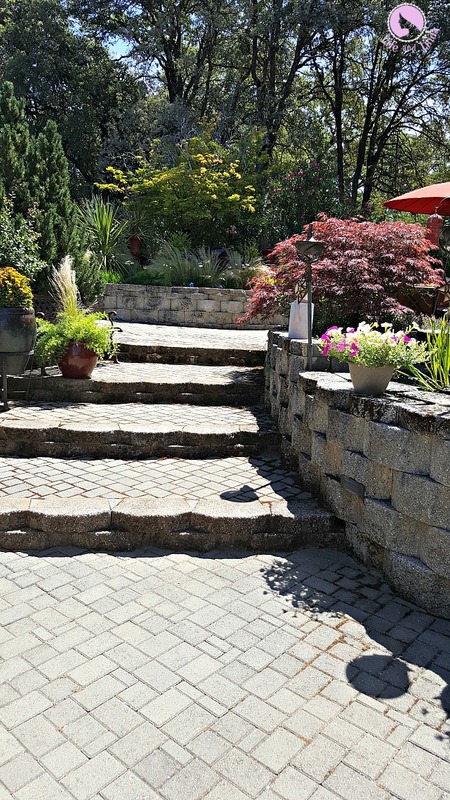 I know just how hard it is going back and forth between the kitchen and the outdoor party - especially on a hot day! 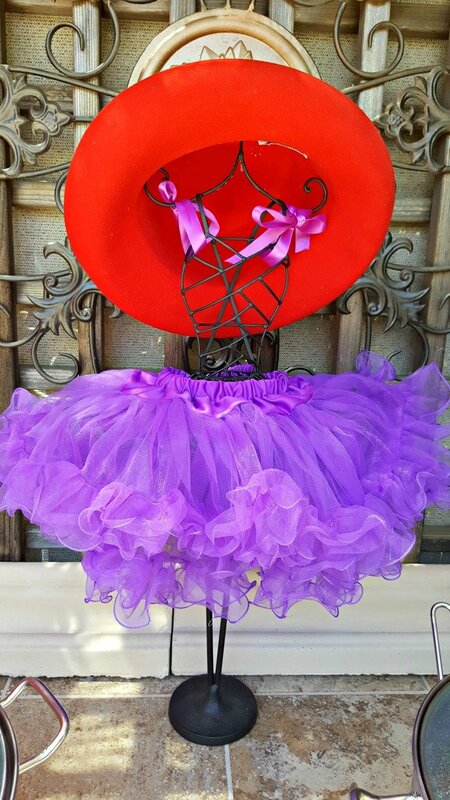 Love the hat and tutu - and your mom looked beautiful. 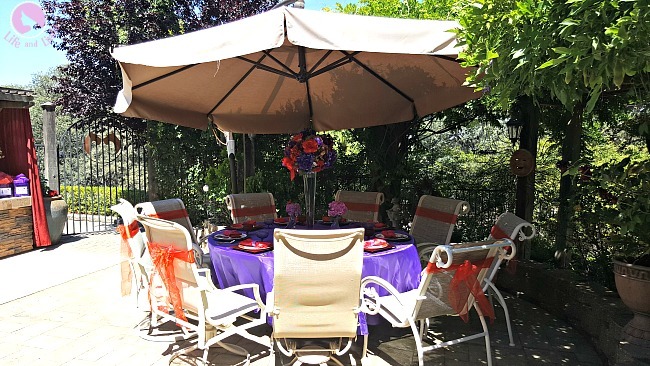 What a lovely setting for your luncheon and how kind to host for your MOM. She looks beautiful in her new dress, shoes and hat! Your menu sounds delicious and I know how hard it is to make pictures and be the hostess. 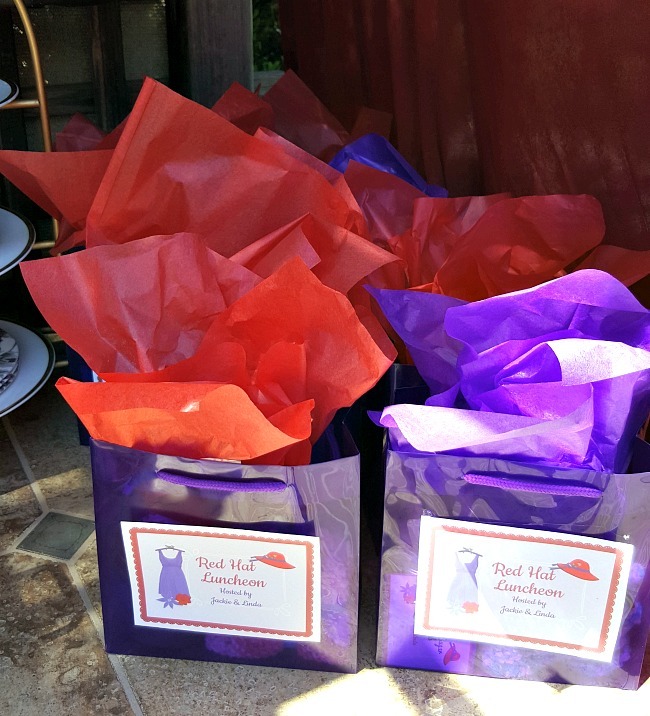 Love your favors and decorations.